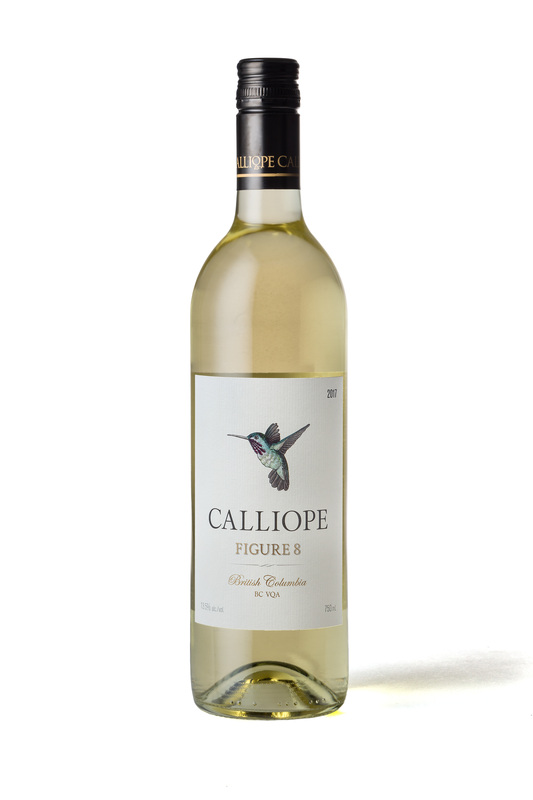 This aromatic white blend combines pear and honeydew melon with lemon, tangerine, nectarine, and floral rose petal notes. Off-dry with soft acidity and a round, textural palate, the ripe stone fruit and floral notes stand out along with a little baking spice, grapefruit and lemon zest on the finish. Pair this with lime, garlic and chilli marinated chicken skewers or cantaloupe melon wrapped in prosciutto. The 2017 growing season got off to a cool, slow start, but the vines quickly caught up for lost time in the warm summer months. The warm temperatures through August and September combined with the cool nights of late summer and early fall produced bold fruit flavors and crisp acidity. The grapes for 2017 Figure 8 White blend were harvested by hand late September and early October 2017, as each variety had reached full maturity. The grapes were processed and aged for 4 months separately. A small portion of the grapes were in neutral French Oak. After being blended, the wine was further aged in tank to allow the flavours to integrate. It was then filtered, stabilized and bottled in March 2018.